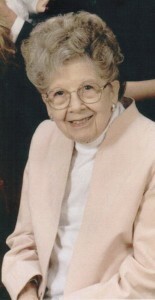 Carolyn A. Musante, formerly of Warren, Pa, passed away March 7, 2012, in Gerry, NY. Carolyn was born in St. Mary’s, Pa., the daughter of the late Phillip and Barbara (Max) Minnick. Though a graduate of St. Mary’s High School and employed at Sylvania in Emporium, Pa., Carolyn lived in Warren most of her life. On June 2, 1934, Carolyn married Thomas W. Musante in St. Joseph Catholic Church and was happily married for 49 years until Thomas’s death in 1983. Carolyn became her husband’s assistant and secretary at the St. Joseph Cemetery, where Thomas was the superintendant for 46 years. Carolyn took over many of his duties when he was out of town, assisting in funeral arrangements and layout for gravesites. Carolyn worked at Dr. Marceca office in Warren, for a short period. She was a very active member of St. Joseph Church, participating in the Altar Rosary Society, the choir, and the Catholic Daughters of America. Also a member of the Warren Art League, North Warren Cooperative Extension and an avid bowler. She had been active in Cub Scouts and also Brownies and Girl Scouts with her service as an American Red Cross “Gray Lady”. As a Gray Lady, she volunteered at Warren General Hospital, providing non-medical services to patients and visiters, easing their stay. Throughout her life, Carolyn’s constant and greatest dedication was to her beloved family, and raising her own three children. Carolyn is survived by her, son Robert J. Musante and his wife Carolyn (Lefik) Musante of Youngsville, Pa. as well as her daughter Barbara (Musante) Johnson and her husband James Johnson. She had nine grandchildren, eleven great grandchildren, and several nieces and nephews. In addition to her parents and her husband, Carolyn was preceded in death by her sister Marie (Minnick) Dunn, and her brother Charles Minnick of Warren, Pa. and her son, Thomas P. Musante. A Christian burial mass will be conducted at St. Joseph Roman Catholic Church on Monday at 3:30 pm with Pastor Rev. Fr. Richard J. Toohey officiating. There will be one hour visitation before the funeral at St. Joseph RC Church. Interment will be in St. Joseph RC Cemetery. Those wishing to place memorials, may do so through St. Joseph RC Church (600 Pennsylvania Ave. West, Warren PA 16365) or with your favorite charity. The Donald E. Lewis Funeral Home, Inc. is in charge of funeral arrangements.